I started spin class in January in part as training for the May 3 Tour de Cure ride but also to give myself some cross-training focus. 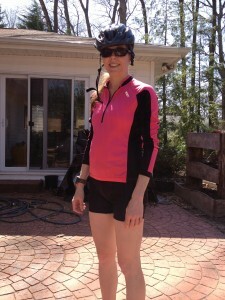 I added in a weekend outside ride when the weather started to allow it and with this routine have been riding on average two days a week all through pregnancy. 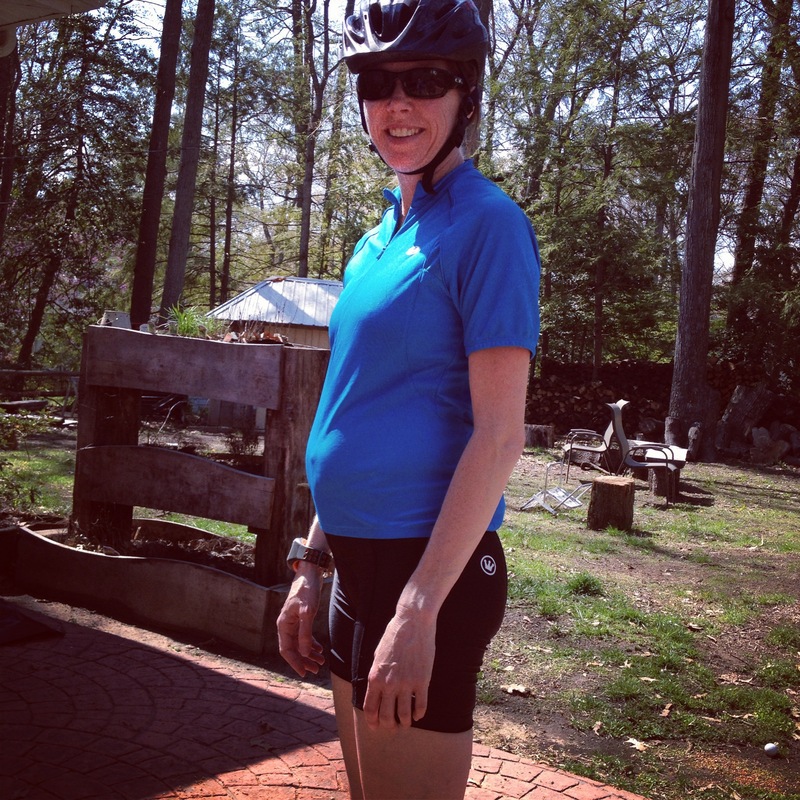 For the first trimester it was mostly fine and I was spinning/cycling as normal. I found outside riding a tad easier to “monitor” than spin class but I think the reason I go harder in spin class is because I love being pushed by the Rev instructor, Esther Collinetti. I asked Esther at one point what she’d recommend for spinning pregnant and much like my doctor suggested, she said to follow my own comfort level. Technically the doc said I should be able to hold a conversation and I know that in spin I go harder than that level but it’s for short bursts as much of the class is in a form of interval training. Esther’s other suggestion was to simply raise the handlebars a little as the belly gets bigger to make leaning forward more comfortable. 20 weeks and riding strong (but with tight shorts). 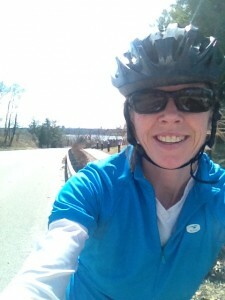 I’ve been trying to ride between 15-20 miles outside in prep to ride 22 miles in hilly Howard County on May 3. For the most part, it’s been ok but as I’ve made my way to the 20+ week mark of pregnancy I’m noticing that any decent speed is definitely harder to maintain, aero position is comfortable and effective for about a whopping 20 seconds and I need to really stay hydrated. Take time to enjoy the ride! 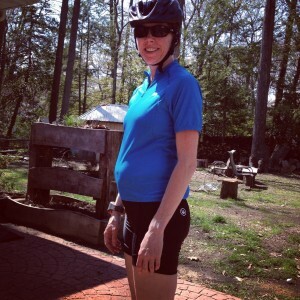 This entry was posted in Running Pregnant on April 29, 2014 by Natalie.